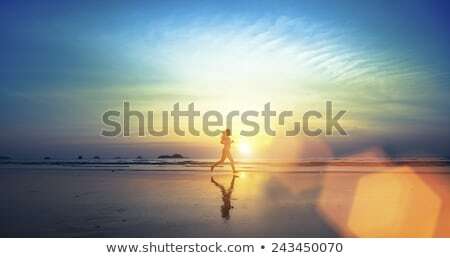 Stock fotó: Futó · nő · fut · napsütés · naplemente · fitnessz / Runner woman running in sunshine sunset. Fitness athlete training trail running marathon in mountains above the clouds in beautiful mountain landscape. 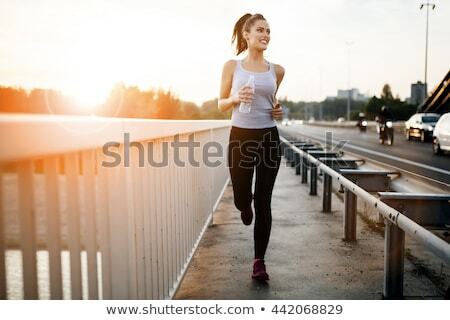 Female in jogging in silhouette.